Sometimes when life feels mundane, we succumb to the weariness of every unmet expectation, unfilled dream, and unanswered prayer. 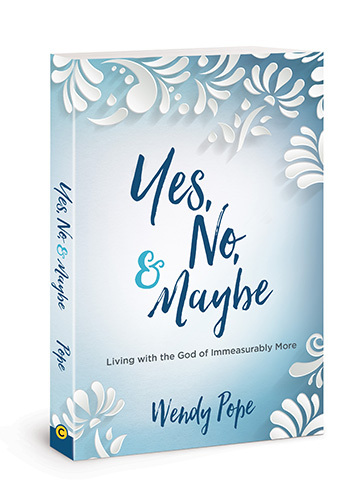 In Yes, No & Maybe, Wendy Pope takes you on a journey with Paul to let go of what isn’t fulfilled in your life and embrace the immeasurably more life God has for you. Along the way, you’ll discover three words that can revitalize your relationship with Christ: yes, no, and maybe. 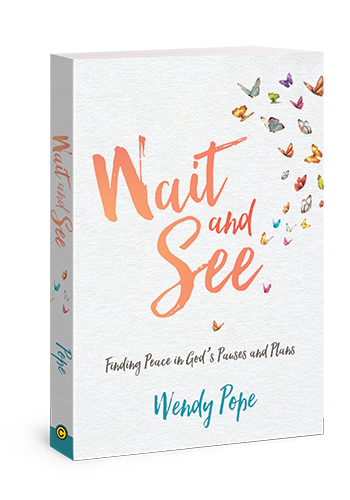 In Wait and See, Wendy shares biblical wisdom on how to prepare for the future even as you participate in God’s work in the present. 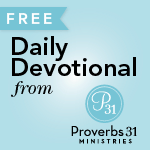 Drawing on the story of David, Wendy helps you exchange weariness and discouragement for hope and action. Instead of getting distracted with the object of your wait, you can grow closer to the Person of your faith—transforming your wait-and-see season into one of the sweetest seasons of all.